I’m completing a run as Professor Bhaer in a local theater production of My Jo, a musical based on Little Women. I just wouldn’t have felt like a good librarian or actor if I didn’t get familiar with the source material, so despite being a man in my early 40s, I decided the time had come to crack Louisa May Alcott’s classic. I don’t regret any of the time I spent with the March family. The Marches, of course, stand in for Alcott’s own family, and her experiences growing up in Concord, Massachusetts in the years during and following the Civil War. While she was tasked with writing an inspirational tale for girls in the mode that Horatio Alger stories took for boys, the realistic underpinnings of her story and Louisa May’s independent (and somewhat moody) character make Little Women much more than just a morality tale. The book that we now know as Little Women was originally published in two parts. 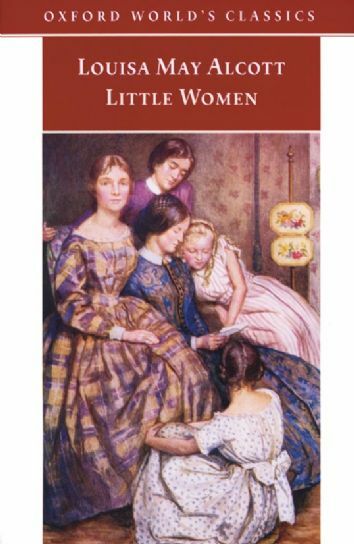 Little Women came first, and its immense and immediate popularity led to the publication of Little Wives only six months later. In the first half, we are introduced to the four March sisters and follow them through various adventures created by their own foibles and quirks. I won’t recap the story in detail– most of you know it– but what makes these girls and their young male friend Laurie Lawrence delightful is that despite the moralistic tone, they are not instantly reformed by any of their experiences. They behave like real young people with real spirit. In the first half of the book, the absence of their father (based on Bronson, Louisa’s philosophical father, who was reform-minded but often thoughtless about his own family’s welfare), who has volunteered in the Civil War, creates many obstacles for his poor but vivacious and bright wife and daughters. While I love the characters established in the first half, the real treasure for me is Little Wives, the second half of the story. You can tell that Alcott was feeling empowered by her recent success, dropping the morality tales for more complex dilemmas that resonate even more deeply with modern readers. It’s here that we encounter (spoilers coming, if that’s possible with this frequently retold tale) Jo’s rejection of Laurie’s courtship, Beth’s tragic decline and death, Laurie’s awkward but earnest connection with little sister Amy, and Jo’s unusual relationship with the older German professor Friedrich Bhaer. This is not conventional children’s material, so this is a book to be treasured by readers of any age, and Jo is such an original that she jumps off the page 140 years after the book’s publication. An iconoclast for any era, Jo will appeal to any reader with an independent streak. Alcott’s vividly detailed language and humor also hold up well. This is not a book to read in isolation. I strongly recommend enjoying it in combination with a biography of Alcott, such as Harriet Reisen’s 2009 biography, Louisa May Alcott: The Woman behind Little Women. The story in Little Women is even more powerful when you know how it softens the tragedies of Alcott’s real life. I also recommend several of the films, the 1933 edition for Katharine Hepburn’s great portrayal of Jo, the 1949 version for my favorite all-around cast, or the 1994 Winona Ryder vehicle for the best handling of the story’s more sophisticated and realistic aspects. Finally, you might continue to Alcott’s two sequels, Little Men and Jo’s Boys, which follow Jo and Fritz Bhaer’s school, sons, and students through various adventures. While I haven’t read them yet, most agree that these later works are lesser creations (probably because they are much more fictionalized and plot-driven), but still worthy of a read. While I do enjoy the story very much, I have trouble revisiting it because there has never been a character I despised more than Amy March. You are so right that knowing Louisa’s story so enhances the reading of Little Women. Reisen’s book in particular made Little Women come alive for me. The character development in Little Women is just amazing. We have a small but very dedicated (and intelligent!) community discussing Louisa’s works and life. We’d love to have other people come on over and discuss. Would this book suit a nine year old girl who normally reads books about lost puppies or fairies etc.? It was recommended to me but I’m not sure if my sister would really like it. If you read it to her so that you could answer questions, then I think it could be a wonderful experience. A lot of my friends have done that with Little Women.